So cold you’ll put on a parka. You love the feeling of ice on an injury? Get the same strong chill from RockSauce Ice! It relieves muscle and joint pain with strong 6% menthol and other active ingredients that provide a powerfully chill cooling sensation. Combined with Arnica, Green Tea and Aloe, RockSauce Ice soothes more than your brain with natural ingredients to soothe swelling and keep skin irritation-free. Our convenient 3oz roll-on bottle means your hands stay clean and clear of our powerful active ingredients. Take it anywhere, apply it anytime with no mess and no hassle. The menthol in RockSauce Ice, called an analgesic, creates a powerful cooling sensation that stops pain fast. You’ll feel it working instantly and it lasts for hours. 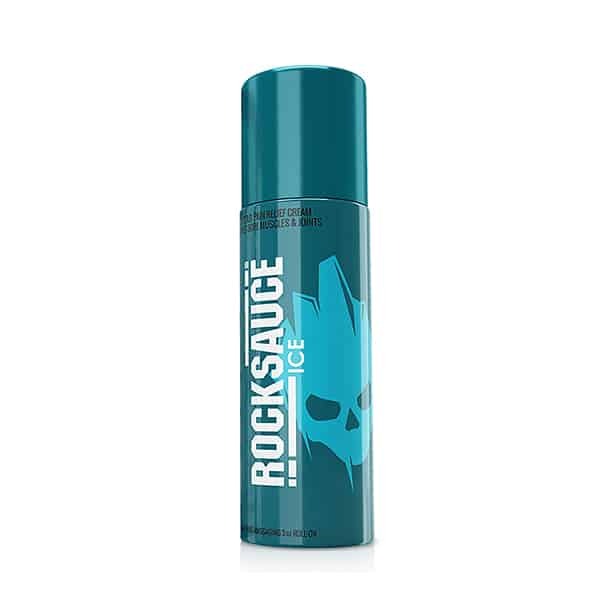 RockSauce Ice includes 6% Menthol, the active ingredient that provides pain relief. The most popular cooling roll-on only includes 4% – a difference of over 30%. Trust us, it’s a difference you – and your muscles and joints – will feel.